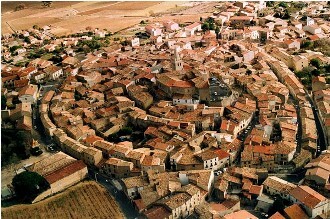 For a thousand years, the unique circular pattern of a series of hillside-hugging French villages remained, to all but their inhabitants, undiscovered. Then, in 1992, Polish architect Krzysztof Pawlowski took to the air and laid bare, from his bird’s-eye perspective, the concentric layout of Europe’s first stab at town planning. 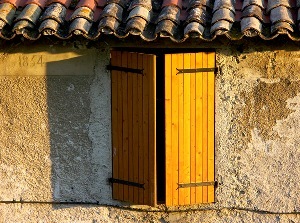 Successive generations of French families have lived and died in these villages, their tall, narrow homes and cheek-by-jowl living conditions forging community bonds that are as resistant to incomers as the circulades once were to outside attack. Spiralling up baked hillsides in the hot and dusty South of France, bounded by the Mediterranean to the east and the massive bulk of the Pyrenees to the south, the circulades grew up in the 11th and 12th centuries, a turbulent time when security and safety were tenuous notions. The rings of houses provided a succession of ramparts that could be defended by small forces and which shielded the core — usually a castle or church — from marauding crusaders. 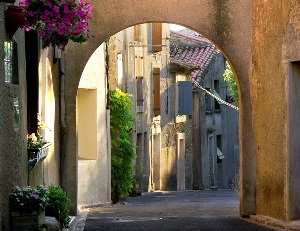 Today, the villages, found mostly in the Herault and Aude departments, are under attack from a much more benign force — tourists — who love to wander the winding lan es intersected with little alleyways and flights of ancient stone steps. One of the largest and most charming of the circulades is Murviel les Beziers, which takes its name from “muri,” meaning “walls,” and “vetuli,” literally “old man.” When the two are combined, they assume a new meaning, “old walls.” Many of the walls of the village homes are painted in bright, fetching colors and adorned with baskets of overflowing plants that need careful and constant attention in the hot, dry climate. The Mediterranean sun — Murviel is just 30km (18.5 miles) from the coast — can be intense in this part of Herault but thankfully the serried ranks of houses cast a cooling shade either side of high noon. The village is decidedly not car friendly so it’s best to park on the outskirts where it’s never any more than a few minutes’ walk to the ancient heart. That heart was once a castle that belonged to the Lords of Murviel until the early 19th century but is now the Chateau de Murviel, an upmarket bed and breakfast establishment that offers panoramic views of the surrounding countryside. If you’re lucky enough to visit Murviel during July and August, you’ll be won over by the villagers’ charming tradition of placing life-size dolls on the streets. Known as Les Petetas, they’re made from rags and corn and are a celebration of the corn and grape harvests which, along with olives, have long been important elements of the local economy. Around 2,500 souls call Murviel home and their daily needs are served by a supermarket and a number of small village shops. But don’t expect Murviel to provide round-the-clock entertainment — or entertainment of any sort, really. When it comes to things to do, “sleepy” would be the best way to describe this circulade. That might suit you down to the ground, but if you’re the more adventurous sort, all the facilities associated with the Mediterranean are just a half hour’s drive away. And city dwellers who come out in a cold sweat when faced with an open landscape or a quiet village — no matter how lovely — can seek refuge and some solace in the bustling nearby towns of Beziers, Pezenas and Narbonne.